The Yamaha YSL-881G Xeno Trombone features a heavy gauge brass and a thick-walled, one-piece brazed bell that was previously hand-hammered thousands of times to achieve the best orchestral sound. During the most delicate passages both powerful projection and subtle control can be gained from the flexible myriad tonal colours used on this instrument. 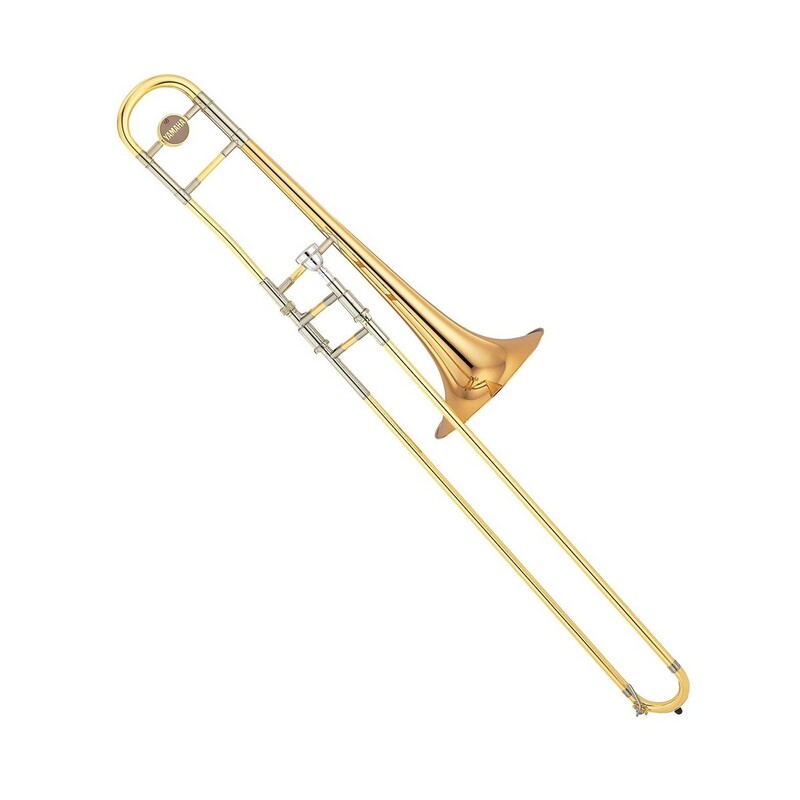 The one piece bell featured on this YSL-881G trombone helps the instrument to achieve a pure, and dominant tone. The bell has an axial seam that makes it a continuous addition of the instruments material allowing for these superior tones. The YSL-881G features one of Yamaha's unique slide lock designs that helps to keep the lock in place whilst also stopping it from falling off. The Yamaha Xeno trombone doesn't come alone, in fact it includes a SLC-88U trombone case as well as a Yamaha Sullivan mouthpiece. Making this outfit the perfect all-in-one package to get you started. Use this instrument straight from the box with everything that you need included.